Did you know that you can power hot water boilers and central heating systems from wood burning stoves or cookers? Boiler stove installations are more complicated than those required just for room heating and there are lots of very important factors to be considered. The right time to think about these is at the beginning, before you buy a stove and here at Stove Sellers, we have the expertise to ensure you make the right choice. Boiler model stoves and cookers primarily come in one of two kinds: Those with an integral, or wraparound, boiler that forms part of the stove body itself and those with ‘clip-in’ boilers, which can be retro-fitted to most brands of stove. It’s essential that your home has a system of pipework that has all the necessary safety cut-off devices, along with good gravity circulation. The stove’s size and heat output are also primary concerns. The ratio between direct room heating and the boiler output is proportional, so you need to choose the right model to power your boiler and/or radiators as well as warming the room in which it’s located. Select too small a boiler and your radiators will not get hot enough; too large and you could find the boiler is running continuously as it boils off excess heat. The key to getting it right is to seek expert advice from the outset. All wood burning stove installers in France need to be professionally qualified (RGE) to carry out this work, so many plumbers may not be properly qualified or insured. What’s more, if the installer isn’t qualified, their client will not be able to benefit from the 30% tax credit available for wood burning, multi fuel and pellet burning stoves. Talk to us and we’ll ensure your new system is safe, reliable and efficient from the start. Some of you will be lucky enough to own a holiday home here in France, and may use it to generate some extra income. If you’re not visiting over Christmas, why not rent it out for the holidays? Installing a boiler stove can help to extend the letting period, and benefit you when you do choose to visit in the colder months. Why should I install a boiler stove? A boiler stove can function as part of a dual fuel heating system. When you have paying, guests staying, it can be used just as a wood burner for an attractive feature. Whenever you’re in residence it will reduce your overall energy costs. You could also consider the range of pellet stoves for sale on our website which offer the practicality of a conventional gas boiler. Who do I get to do the boiler stove installation? When you buy from us, we offer a full boiler stove installation service. It’s important your wood burner is properly installed to meet regulation standards – in France, all installers must be RGE registered. It’s important you use a registered installer for insurance purposes if you’re letting, and because you could miss out on generous French tax breaks if you don’t. A functioning smoke alarm is a requirement in France, and we’d also recommend you fit a carbon monoxide detector in the same room as the wood burner too. We all remember the terrible tragedy of the brother and sister who died in a holiday apartment in Corfu as the result of a botched boiler installation, so it makes sense to protect your paying guests – and your own family, too. A wood burner from france can be a real selling point for a holiday home, but bear in mind that your guests may never have used one before! Make sure you lay a fire ready to go, and leave a basket full of logs, old newspaper, firelighters and of course matches handy so your guests can build another. Also have the instruction book available, and let them know how you’d like them to dispose of the ash. A fireguard is a good idea if your guests have young children or pets. At Stove Sellers, we’re passionate about wood burners, so contact us and we’ll be happy to advise you. If you’re of a certain generation, you’ll remember ‘The Good Life’ and Tom and Barbara’s struggles to be self-sufficient in Surbiton. These days, they’d be hailed as eco-pioneers living the off-grid life. Going off-grid means providing some or all of your energy needs without reliance on public utilities, and in these days of rising gas and electricity bills, it’s an appealing choice. You don’t have to go off the grid all at once, or even completely. But heating your home with a wood burning stove is environmental good practice and sustainable. And the movement is becoming so popular in Britain it may even threaten the monopoly of the utility companies . How does a wood burning stove help me go off-grid? Replacing any part of your energy needs with natural fuels can help you cut energy bills – and reduce your carbon footprint. Installing a wood burner is the easiest first step if you intend to go all the way, or a good halfway house if you prefer to rely on gas, oil and electricity for part of your energy needs. What’s the best stove to choose? • Boiler stove – the best choice if you depend on electricity for heating hot water as they can be fitted to existing plumbing to cut bills and provide heat at the same time – browse our full range Boiler stove here . 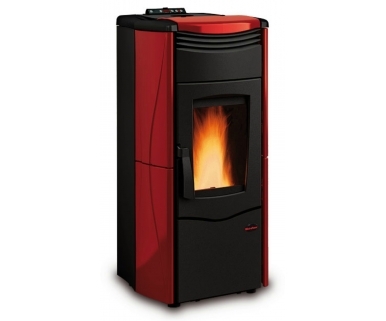 • Wood pellet stove – pellet stoves require electricity and water sources to run, but can operate like a conventional gas or electric boiler, regulating the release of pellets through a thermostat, meaning you don’t have to keep them refuelled. • Multi-fuel stove – the best multi-fuel stove for going off-grid will depend on the types of material it burns and whether these are readily available in your area. Typically you can burn wood, coal, peat and pellets, but coal will increase your carbon footprint. Nothing compares to the warmth and efficiency of a wood burning stove. But have you considered harnessing the power of a wood or pellet fired stove to generate your central heating and hot water? Boiler stoves can be used in their own right to power your heating and hot water needs, or utilise ‘link up’ technology to augment an existing system. Wood is abundant, sustainable and, above all, cheap – especially woodburner from France – making it the economical fuel of choice for your French home. Storing your logs can be an issue but if you’ve already made the decision to buy a woodburning stove, the chances are you already have somewhere to store your winter fuel. If you opt for a pellet stove, you’ll need a dry indoor storage space, but properly kept, the pellets will last indefinitely. And there’s something beautiful about a properly kept log pile ready to provide winter warmth and more. Unlike ugly electric, gas and fuel boilers, boiler stoves integrate seamlessly into your living space adding the beauty of a real fire to your living or dining room. We stock a range of elegant traditional and contemporary boiler stoves that will enhance the look of any living space whilst providing all your hot water and additional heating needs. 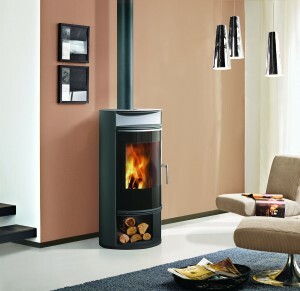 Both wood fired and pellet fired stoves will sit happily in your living areas, freeing up extra living space. 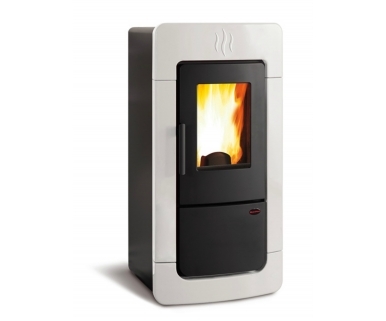 And if you opt for the practicality of a self igniting pellet boiler stove, you’ll have the same control and freedom as with a conventional boiler. If you care about the environment, then boiler stoves are a natural choice, as they’re not only efficient but carbon neutral. If you want to end your dependency on fossil fuels to heat your home and hot water then a boiler stove is the obvious decision. It may be a little more time consuming than simply flicking a switch, but there’s something primal about setting a fire and watching it leap into life. You can read more about urbanites who are making the switch to a carbon free lifestyle here. Setting aside minor potential drawbacks, like having to feed your stove daily and storing a large amount of fuel, boiler stoves and wood pellet stoves make sense for a better, more economical and greener lifestyle.